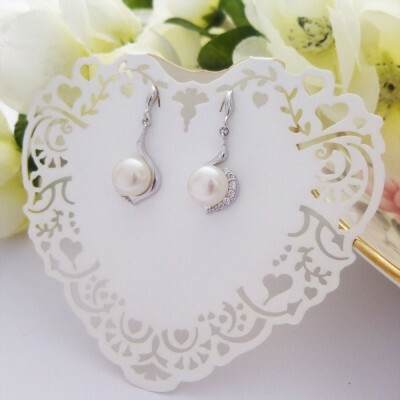 These beautiful ladies freshwater pearl drop earrings are amongst our favourites, incredibly sophisticated, perfect bridal earrings and timeless classics. The freshwater pearl is set in a sophisticated sterling silver surround with a swirl and point at the bottom and small CZ stones to one side, beautiful, unique and they look fabulous on! 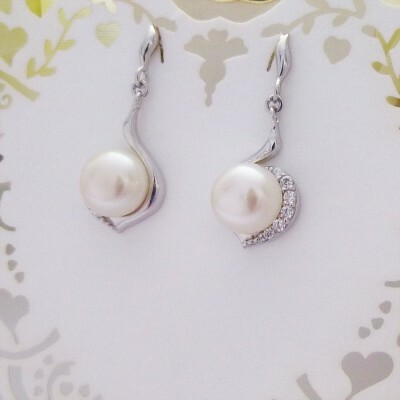 Our ladies ivory freshwater pearl drop earrings really do add that touch of class, they are absolutely beautiful on and a real talking point. Featuring a good size freshwater pearl set in highly polished sterling silver, there are dainty clear cz stones set to one side to add an understated touch of sparkle, very beautiful. 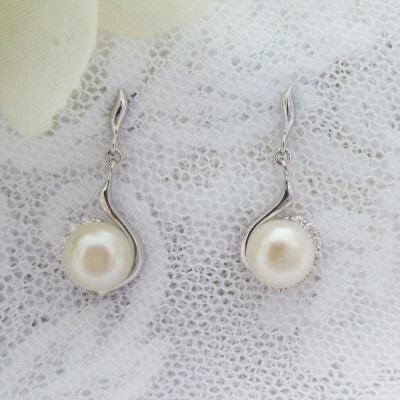 These pearl drop earrings in sterling silver weigh 2.44g with a pushback stud fastener and two sterling silver loops that allow the pearl to drop and dangle. 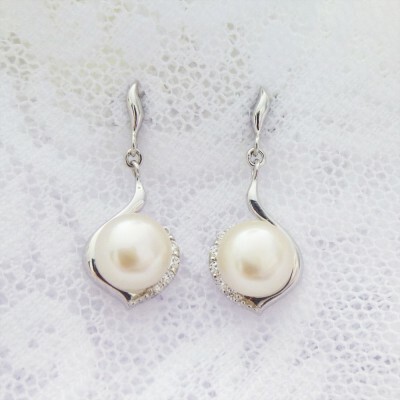 In 925 sterling silver, there are hallmarks on the stud and the silver surround at the back of the pearl. The total length of the drop is 20mm and they are ideal for wearing for long periods, definitely a classic! 925 sterling silver hallmarked ladies earrings. Featuring an ivory freshwater pearl. 2.44g in weight and 20mm drop.